Gently reticulated sterling silver cuff bracelet. Darkened and then buffed out in areas making each of these cuffs unique. A contrasting sterling line intersects the cuff adding dimension. If you have an xs or xl wrist please note that when ordering. 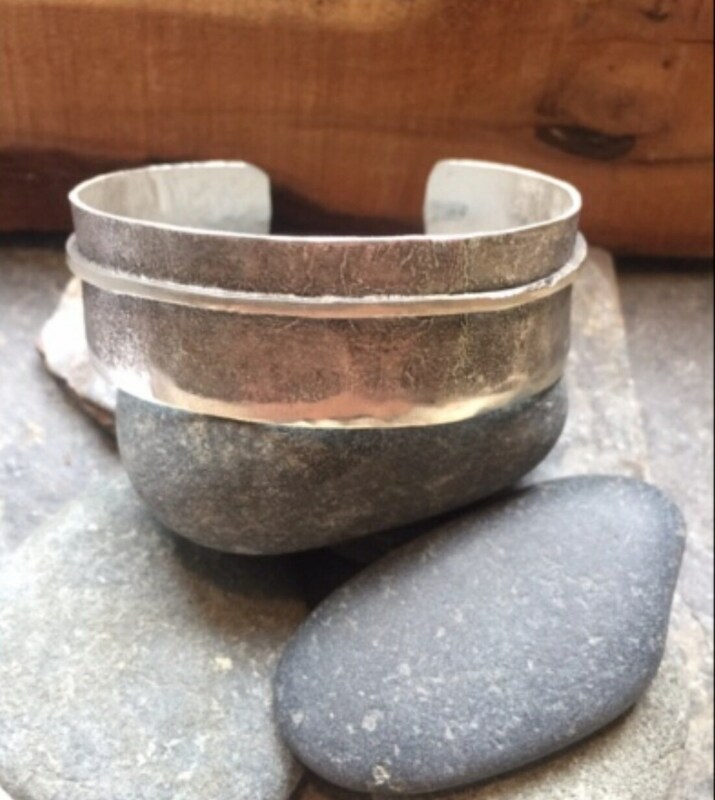 This cuff is gently adjustable for a medium sized wrist. 3/4 of an inch wide.